driving it all over the place. my Tool & Die Apprenticeship in 1970, the year I graduated high school. I bought a Bridgeport milling machine in 1971 and started to make my overhead valve conversion for my Model “A” Ford. I started with a 327 Chevrolet cylinder head. As time went on I soon filled my Mom and Dad’s two car garage and needed more room. In 1976, I bought some land and built a 50 X 50 building where I was able to set up my shop in the back 30 X 50 of the building. This was the start of Stipe Machine Co. full time. I was able to live in the front 20 X 50 of the building if it was 2500 Sq Ft or under; and I could be considered the night watchman. Soon my family came and we all had to pack in one bedroom, with the kids in bunk beds for the next 8 years. Eventually, the old school house across the street became available. I bought that and we moved out of the shop. 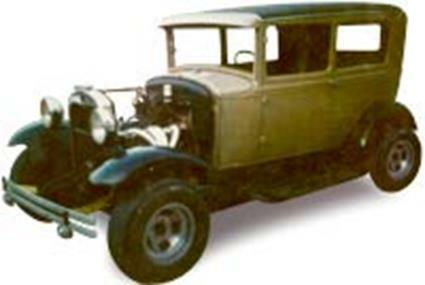 My Model A car hobby sat dormant for over 20 years because I had to make a living machining industrial parts and doing repair work. In the early ’90s, I bought Ash Cams and started Specialty Motor Cams. Today we are making new cams and regrinding old ones, along with many other new performance engine parts. We have a engine dyno and test our cams and products along with building complete dyno tested performance engines. We are developing new products all the time; making the Model A and B engine stronger and more reliable. I put my heart into the hobby and the business, and I feel I do a better job of it because I love it.